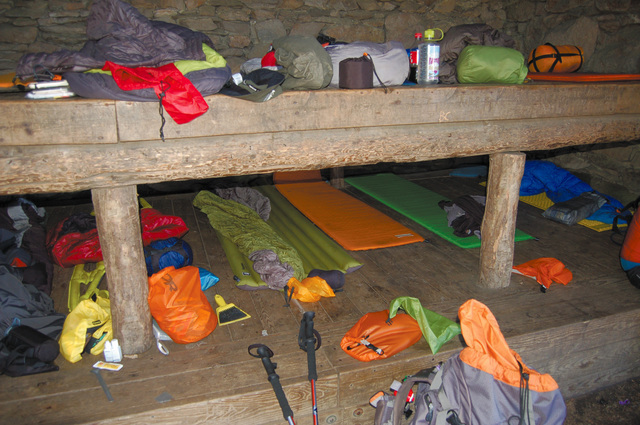 Most Appalachian Trail thru-hikers start the trail as a neophyte and end it as an expert. Along the way they learn that some of the things they had been told about the trail just aren’t true. These are five of those things for us. Before we left on our thru-hike, we heard several times in several ways that the miles in Virginia were easy or at least flatter than those experienced in the preceding states of Georgia, North Carolina, and Tennessee. If you compare the elevations in the guidebook of Virginia against any one of the first three states, it does appear flatter. Don’t be fooled. 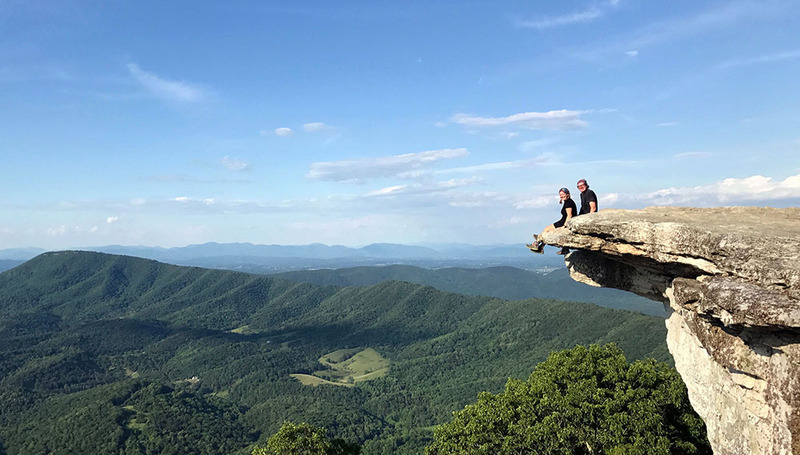 Virginia has plenty of challenges for the thru-hiker and it is neither flat nor easy. I believe one of the contributing factors to this fallacy is that in Virginia many hikers begin busting out serious daily mileage. That means it’s easy right? Uh, no. 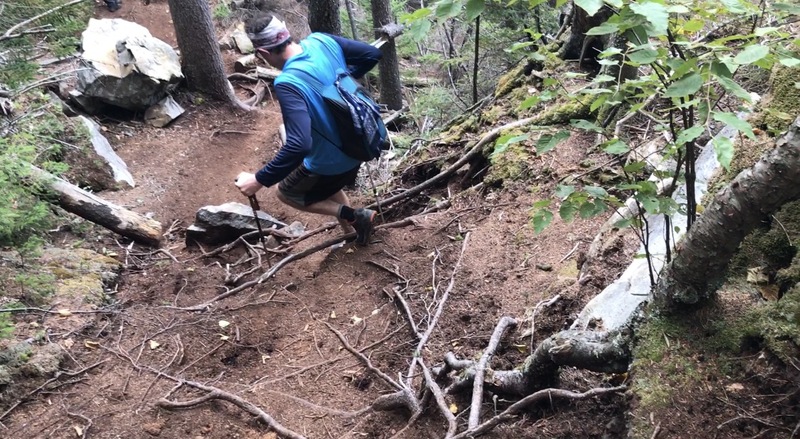 It means by Virginia, a NOBO hiker has earned their trail legs. They have also dialed in their gear and their packs are at an optimal weight. In this way daily mileage increases in Virginia, certainly not because it’s flat! Virginia sure does look flat! This is a general idea floated out there often, along with cutting tags off clothing and extra strap length from gear. The problem with the advice is it often given as a blanket statement leading a newbie to trim the weight without thought. The saying, “penny wise, pound foolish,” where the word “penny” is exchanged for the word “gram,” is an excellent one to consider when choosing gear. Focusing solely on weight causes problems. Have you ever tried brushing your teeth with a toothbrush with a short shaft? I’ll carry an extra half ounce to have a product that is more comfortable. Obviously, the toothbrush is just an example of the underlying concept. One of the most common mistakes with half-assing an ultra-light kit is purchasing a frameless backpack. Like I did. My fully loaded pack weight was between 28 and 35 pounds and I purchased the Gossamer Gear Mariposa to haul it all in. The recommended max weight for the Mariposa was 35#’s, but ideal weight was under 30. I think 25 would have been a better max as at my weight I had significant shoulder pain on most days. Of course, the allure of the frameless pack is that it is a pound or two lighter than its internal frame siblings. Chica’s pack weighed 2 pounds more than mine, and with a similar load weight I was carrying; she said it felt like she was hardly carrying anything at all. This is actually true of ANY hiker you meet descending a mountain you are climbing up. They will want to help … to be positive, but whatever they say, it’s a lie! “You’re almost to the top, maybe a tenth of a mile.” Thirty minutes and half a mile later you reach the summit. “It’s just a gradual climb up.” Translation? Rock scramble most of the way up. The truth is everything is experienced differently by those coming down the mountain, plus they were just up at the summit hanging for an hour, they are refreshed. You, on the other hand, have been climbing all morning and are fatigued. It’s an easy climb up. I mean, I am flying! It sounds good and it makes a great poster, but is it true? For the prospective thru-hiker, I think not. The two words, journey and destination, are a team and while you can have a journey without a destination, it is unlikely you would complete the entire Appalachian Trail if you didn’t have the destination in sight. My assumption is that your goal is to do just that, to be a thru-hiker. If that’s the case, you must have a destination. Something to work towards. To walk to. A culmination of your hard work and aching bones. An end. And that destination is your purpose. Yes, over the course of five or six months you will meet incredible people, see unbelievable sights, commune with nature. And yes, the journey can change you and feed your soul for years to come. But, if the objective is to be a thru-hiker, focusing only on the journey will set you adrift. Instead, focus on the destination and enjoy the journey. What did you find on your thru that just wasn’t true? Leave a comment and let us know. Love this …..so inspirational !!! So many times going up the mountain I would hear, “You don’t have much longer now.” I learned early on not to ask how long ’til the top. All lies. The more a person hesitated, the longer left of the climb. Similar to hearing that you are almost there while you are still a mile away in a marathon. 🙂 I also like your advice on the toothbrush. Haha, exactly. I remember when Chica and I ran a marathon in San Diego. It was relatively flat but towards the last 6 miles there were multiple hills. The crowd kept telling us “just one more hill!” Yeah, whatever. The people coming down mountains are like the crowd, they just don’t know how done you are. I live in VA and have hiked sections of the AT many times. How true, how true! It’s all relative…like most things in life. Yep, a great analogy for life. 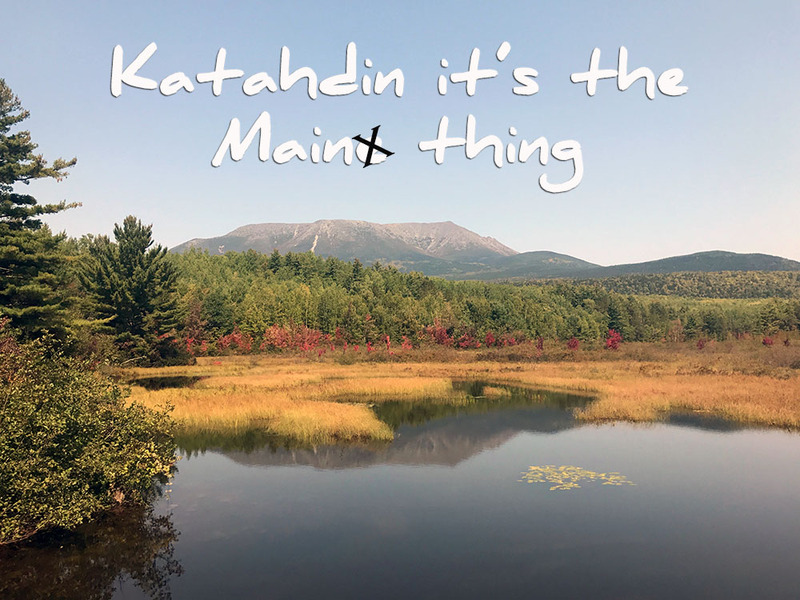 Baxter State Park does not close Oct. 15. (Another lie) It is a 4 season park. Do your research. Well written and sound advice with a realistic approach. Enjoyed your insight and your and Chica’s honest analysis of various aspects of your experiences. Allows me to get a feel for the hike, without actually doing it. Always get life nuggets from the two of you. Thanks for following along Barb! Glad you have enjoyed the journey with us. Reminds me of a documentary called “Mile…mile and a half”. Cool, will have to check it out. My favorite lie: There is no trail magic north of the Mason-Dixen line. While there’s nothing like the onslaught of trail magic in Georgia in late March/early April, there is plenty of good magic in the northern states. Oh, that’s a good one. We had so much trail magic in Pennsylvania it was crazy. And Massachusetts and New Hampshire were incredible as well. Great point. Glad you found us! Subscribe to get your hiker fix delivered right in your email box.